At Oregon State University since 1998. Fields of interest: thermal hydraulics and reactor safety, reactor engineering and design, multi-phase flow and boiling heat transfer, ALWR and IFR stability and safety, thermal hydraulics instrumentation. 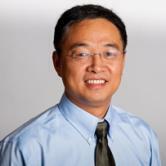 Assistant Professor, Engineering Physics, Tsinghua University (1985-1990). Research Associate, Nuclear Engineering, Purdue University(1995-1997). Member, American Nuclear Society Technical Exchange Delegation to China (1998). Visiting Scientist, Argonne National Laboratory (2001). Scientific Investigator, International Atomic Energy Agency, United Nations (2004). Member, American Nuclear Society. Institute of Multifluid Science and Technology. Technical Reviewer, Science Center of US Department of State. Best Paper Award, ANS Thermal Hydraulics Division (1997).